Manchester United are reportedly lining up a bid to land French striker Wissam Ben Yedder from the Spanish outfit Sevilla this summer transfer market, according to recent treports in Spain. A British newspaper the Sun is citing unrevealed sources in Spain stating that the Red Devils are interested in a deal to bring Wissam to the Premier League in summer as Norwegian manager Ole Gunnar Solskjaer begins to think about strengthening his current squad. 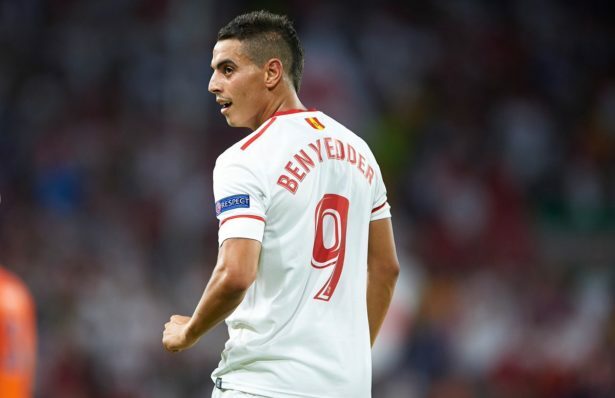 The 28-year-old Ben Yedder has been in great form for Sevilla thus far this season and has netted 24 goals and made six assists across all competitions for the Spanish side this term. According to the same article, French-Tunisian player has emerged as a target for the Red Devils this summer as Chilean winger Alexis Sanchez struggles to find consistent form. The same report says that Ben Yedder has drawn interest from the likes of Tottenham Hotspur and Arsenal in the latest years, but a transfer to the Theatre of Dreams is now looking more likely. The 20-times English champions are likely to be interested in landing a host of players this summer window, with Ole widely tipped to be hired as the club’s new permanent coach. Meanwhile, the club are monitoring Serie A side AC Milan full-back Davide Calabria with a view of replacing the 33-year-old Antonio Valencia, who will depart from the club at the end of the season. Fellow Premier League side Everton are also interested in securing the signature of the versatile defender.